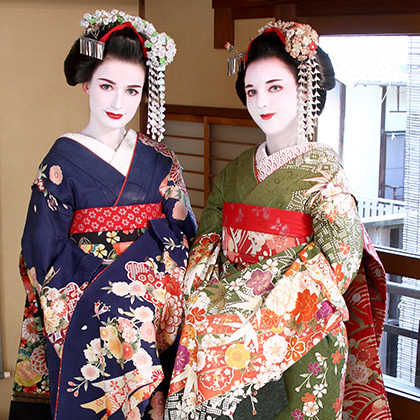 that specializes in Maiko and Geisha makeover experiences. 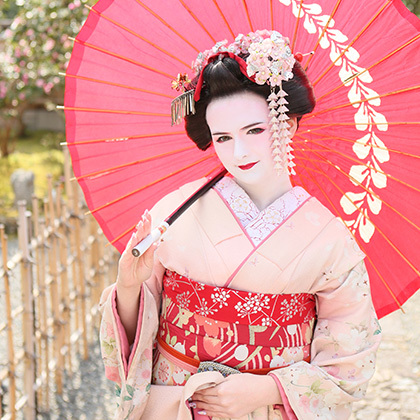 how to transform yourself into a Maiko in Kyoto. 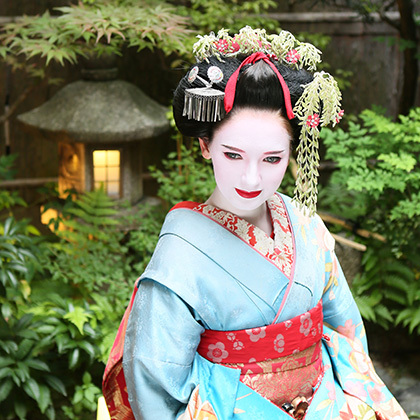 Turn yourself into a Maiko or Geisha in Kyoto. 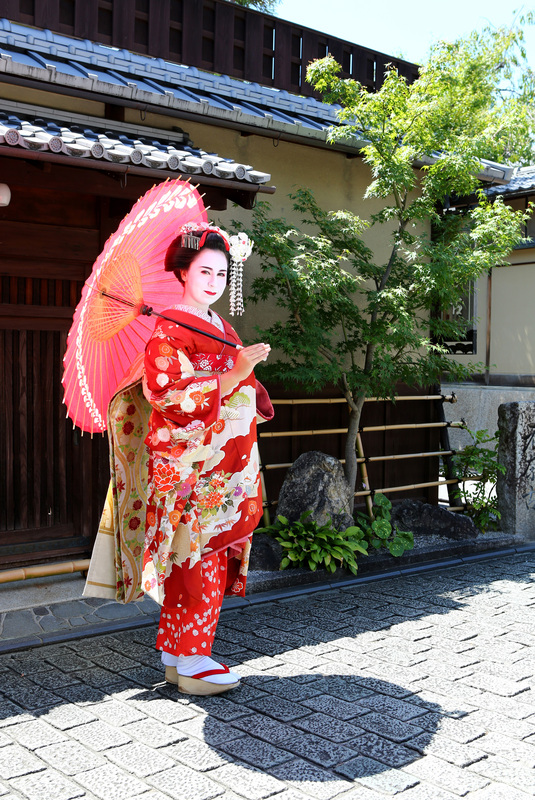 We love Kyoto and we love the world of the maiko. 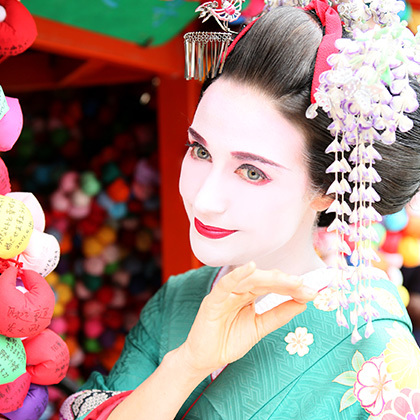 It is our pleasure to provide you with an impressive and fun experience through traditional Kyoto culture. 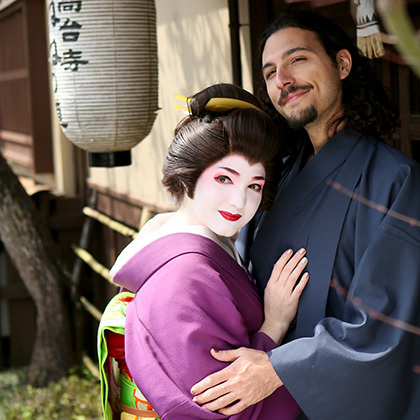 At our studio you can turn yourself into a maiko complete with real traditional wigs, kimonos, obis, shoes and accessories. And then you can have a studio portrait made, take your own photos and walk around on the fabulous old streets that are just minutes from our front door. Our staff extend a warm welcome to you. 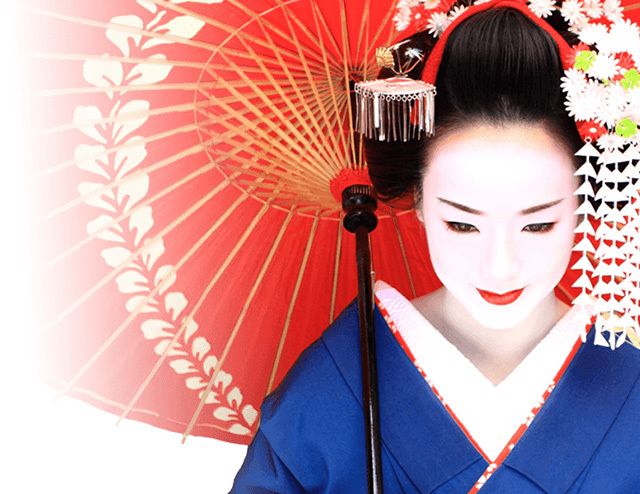 Let us turn you into a Japanese maiko. 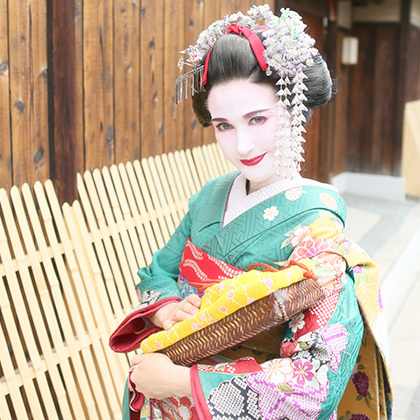 Thank you for writing about us on your blog!! 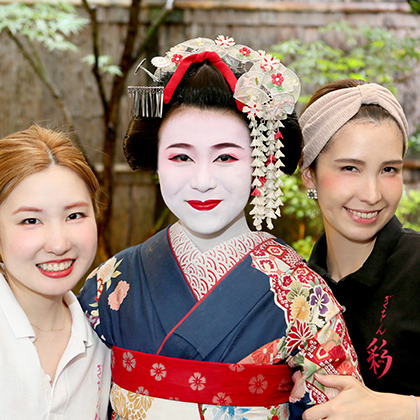 AYA’s exceptional makeup skills have received the professional stamp of approval from the traditional manufacturers of maiko cosmetics. 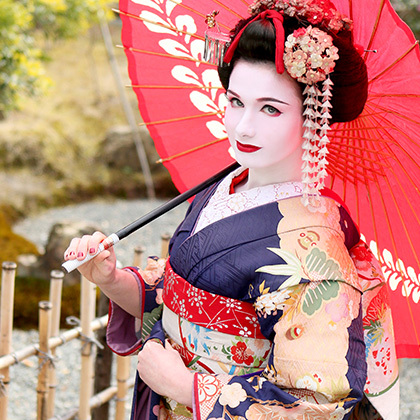 All aspects of your makeup are individually tailored to you. 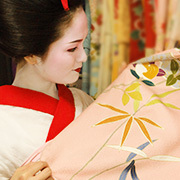 And we only select kimonos made from 100% Kyoto silk. 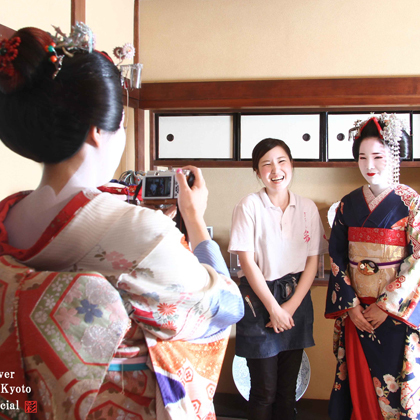 Our professional photographer from Higashiyama in Kyoto will ensure you look your most beautiful as a maiko. 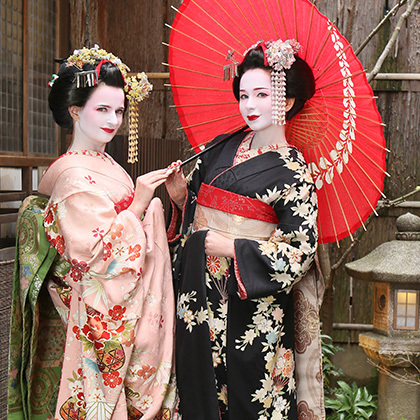 He prides himself on being the best in the business in Japan, and will capture a permanent photographic record of you that will surely exceed your expectations. 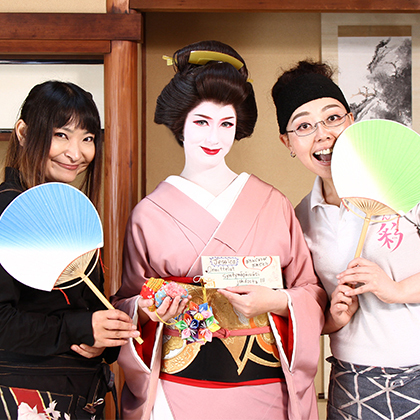 The AYA studio was an authentic teahouse during the Taisho Period, a Kyo-machiya establishment where Maiko would perform. 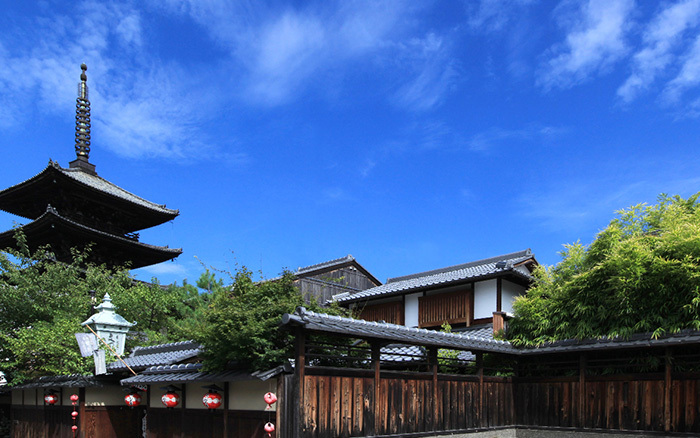 As soon as you step outside, you are enveloped in the quintessential Kyoto townscape. 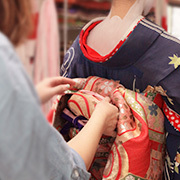 The AYA studio was also a performance venue for real maiko during the Taisho Period. 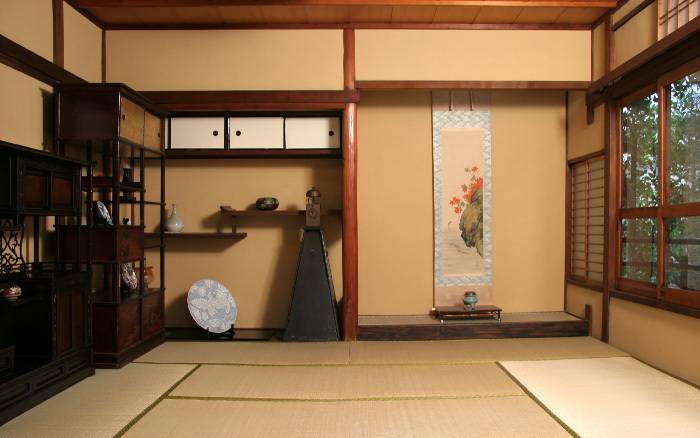 The vintage items arranged in the alcoves and on shelves, such as kakejiku scrolls, containers, and a Japanese-style clock, will help to bring out the maiko spirit in our guests. 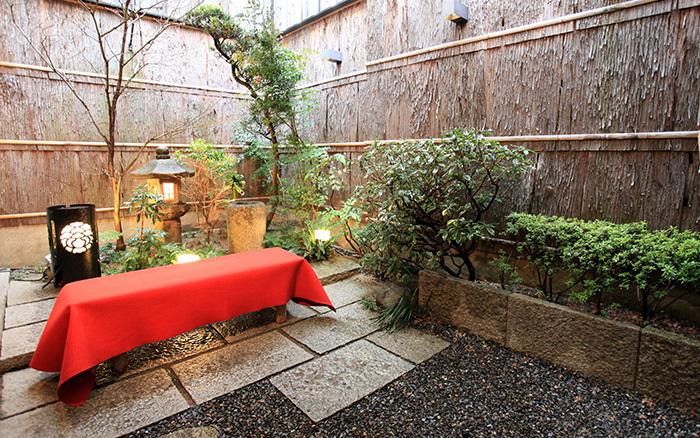 Enjoy the building’s tsuboniwa, or interior garden, which evokes the traditional Kyoto machiya spirit with its restrained elegance. Natural sunlight will illuminate you during the day, while mood lighting will lend a fairytale quality to shots of you taken at night. 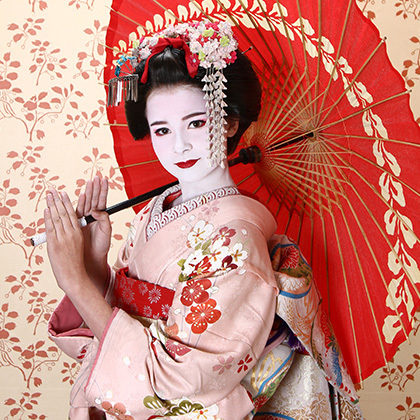 And the varied characteristics of the four seasons will lend their own special charm to your appearance as a maiko. 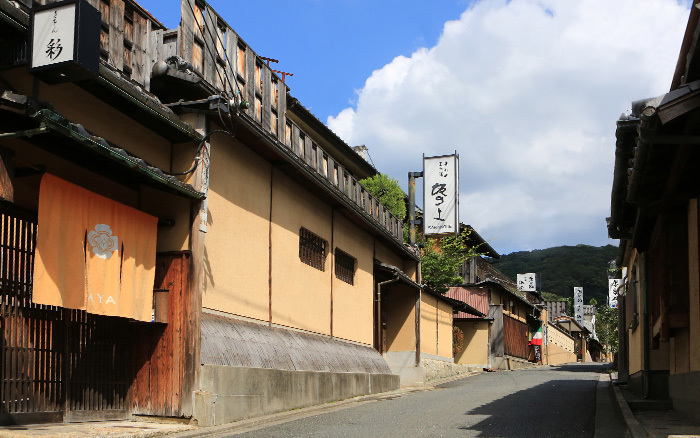 AYA is located in the middle of an area of Kyoto replete with famous tourist spots, such as Yasaka Shrine and Kodaiji Temple. 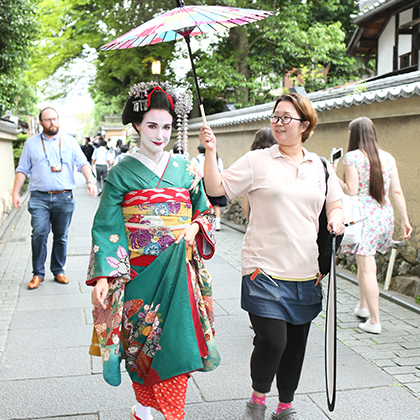 We strongly suggest you choose the option of a stroll in maiko costume in this prime location. Exterior photography can begin as soon as you step outside. 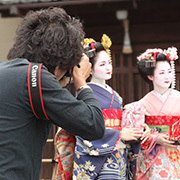 Your maiko photography package will be ready for you to pick up on the day of shooting. You also have the option of purchasing all data files on a CD-R. We will provide natural skin cleansers and cosmetics that are kind to your skin. 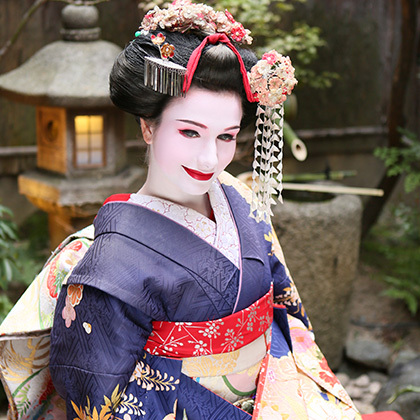 There is no need for you to bring anything for the Maiko transformation process. 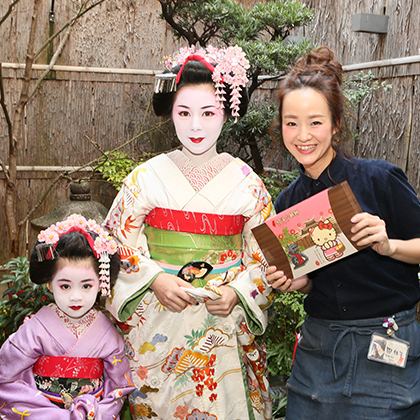 ※Please bring supplies of your own everyday makeup for reapplication after your Maiko Experience. 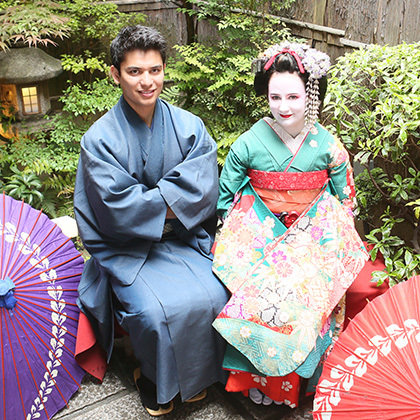 Our staff study basic English so as to best meet the needs of our oversees guests. Please feel free to contact us by phone or email with enquiries or requests for a reservation in English. 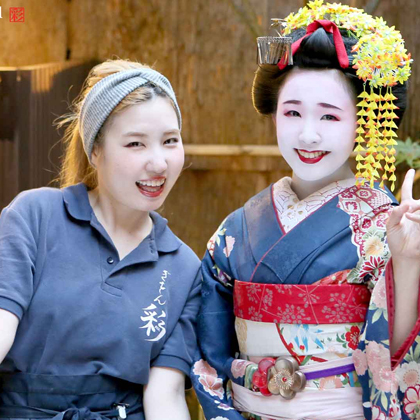 All of us here at AYA await the opportunity to make your Maiko Experience with us a fabulous memory for you!